Natasha Igl grew up in Neenah, Wisconsin living and breathing words. From a toddling age, she loved to weave together her own stories, even if they did not make any sense. As she progressed in age, she developed a connection to books and could be found curled up in a corner reading. Imagination was the only world in which she could be caught. Throughout her schooling, she loved the Language Arts and English classes best. She thrived in school, making the honor roll every semester, but something about words appealed to her. She participated in Battle of the Books, the creative writing club, the school newspaper, and band. 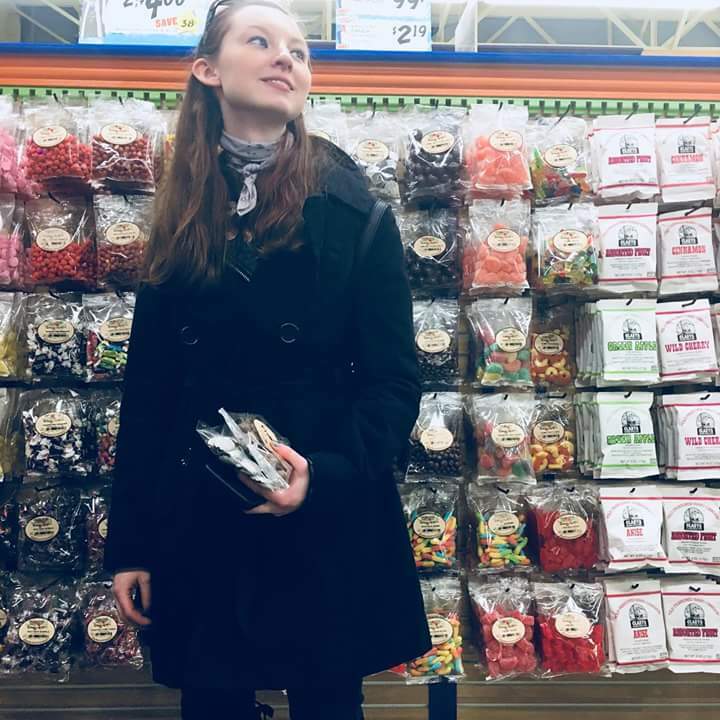 In her senior year, she was the teen representative at the Neenah Public Library, where she sat in on board meetings and provided her perspective on the agenda topics. Since the age of 15, she also has worked at the Culver’s in Neenah. Laziness is not in her vocabulary. While attending St. Norbert College, Natasha was in charge of many different organizations on campus. Co-president of Knitting Knights, co-editor of the student run journal on campus called Graphos, president of the SNC chapter of Omicron Delta Kappa, also known as the leadership honor society, and the president of the SNC chapter of Sigma Tau Delta, otherwise known as the International English Honor Society, Natasha stayed pretty busy. She was also the secretary of the female social group called The Electric Company. Despite her attention to all of these clubs, she remained on the Dean’s List and made time for her studies and herself. In her spare time, she likes to read, knit for fun, and watch movies. Her all time favorite movie is Jim Henson’s The Labyrinth, and her favorite book, if there is such a thing, is called Inkheart by Cornelia Funke. Not only was she a leader in her clubs and a full time student, but Natasha also worked multiple jobs on campus, typically working the maximum hours per week. She worked as the English Teaching Assistant, assisting her professors with any tasks from proofreading to designing events or posters. She also worked at the Tech Bar where she hung around and learned about WeVideo, Domain of One’s Own, virtual reality tools, coding, and more. At the Tech Bar, she also helped out any students who needed aid in classes with these tools or digital competency skills, like how to print from Google and organize your calendar. On days where she was not working at the Tech Bar or as a TA, Natasha worked at the school cafeteria cleaning dishes, cashiering, or helping run the floor as a lead. She helped ensure the cafeteria ran smoothly and cleanly. She also worked as an academic support notetaker and a tutor. On school breaks, Natasha worked at her hometown’s Culver’s where she has grown fond over custard and Beef Pot Roast sandwiches. She has worked there since she was fifteen and has grown in her customer service skills as well as confidence. Starting off as a member of the crew, Natasha quickly picked up on the energetic drive of the restaurant and moved on to be a Crew Leader, helping run the front, acting as the manager’s right hand, and training her new co-workers. With her seasoned leadership, she grew into a shift manager and proudly wears a bow tie to work. She credits Culver’s for installing in her interpersonal skills, assertiveness, and time management skills. After graduation, she will stay on and help out the store as a manager. For her future, Natasha plans on finding her niche somewhere with editing and/or writing. Currently, she will be working for 13th and Joan Publishing starting in January of 2019.